One of the most interesting things I've read about Magical Girls is that their power-ups are typically cosmetics because such things are inherently considered feminine, and the genre is all about empowering things that are inherently feminine. People think of characters wearing make-up and doing their nails and think "That character would cry as soon as they broke a nail." It paints these things as inherently weakness, but no, quite the opposite. It's so neat to think that these things that people often associate with weakness are a force to be reckoned with in Magical Girl shows. Precure seems to extensively use cosmetics as transformation items and attacks. The Smile Cures use that puffy make-up thing during the transformation. Cure Ace's transformation has her applying eye-shadow and her finisher begins with applying lip-gloss. 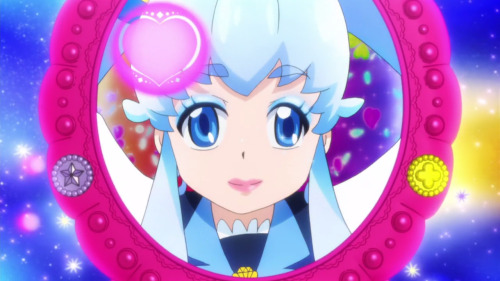 Heartcatch's transformations are done with a perfume bottle. On the subject of Ace, I remember there was some minor controversy back in the day about the fact that she uses make-up to transform from a ten year old to a fourteen year old, whose catch phrase is "Beauty is proof of justice!". One thing I have noticed about the genre is that though blush and lipstick and eye shadow are fairly prevalent, nail polish is almost never used. 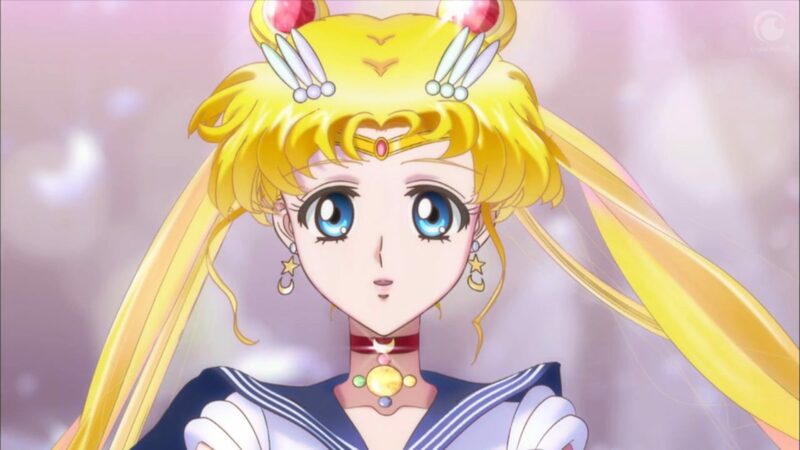 The Sailor Senshi's fingernails glitter during their transformations, but outside of that, most magical girls never have colored nails. It's probably just "We didn't care to animate it" thing but it seems kind of odd that this wouldn't be the first thing young girls would use to decorate themselves, especially when they're typically as old as fourteen. Maybe there's a reason behind it in kids shows like Precure. Like they want kids to see the girls using the cosmetics to transform and say "I want to buy some of those!" Or referring back to cosmetics representing empowerment, the lack of such worn by civilian forms would represent their natural state... or something. 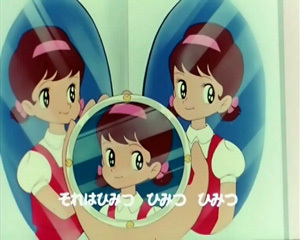 Akko-chan commands you to buy the mirror, children..
the weirdest comment I think i've seen was for the new Sailor Moon trailers started coming out I read comments like "she's wearing too much make up! Sailor Pluto just had lip gloss and that was it! You've gone too far!" 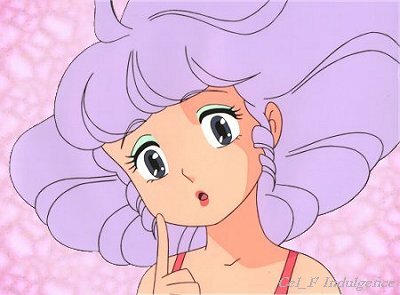 Creamy Mami wore more make-up than Sailor Moon really..